Great cities like Delhi are defined, at least to some degree, by some famous cuisines: either through readily available ones and ancestral tradition or through those which draw the culinary traveller from across the world. No doubt many of us must have explored every monument including the nook and corner in our own Delhi, but what do we have to offer in terms of a culinary narrative? In a city as old as us, besides the fact that several of the chaatwalas and halwais have been famous for generations but there is one such Bawarchi of which many people till date are not aware of. So one fine evening when I was travelling in Delhi Metro, I overheard the talks of two friends. They were discussing Handi Biryani which is served in kilos at some restaurant located near to Pragati Maidan. For me it does not matter what time of the day it is, the mere mention of the word is enough to bring water in my mouth. 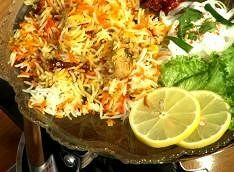 I being a lover of rice dishes, Biryani is for me is my all-time favourite food. So very next day I planned to visit this place. I took the metro from Vaishali Metro station and de-boarded at Pragati Maidan. I took an auto from there to reach Babu Shahi Bawarchi, 5, Darga Matka Peer, Mathura Road, Pragati Maidan as I had searched the address the night before on the Google. When I reached there to my utter disappointment I found that there the Biryani is served in bulk orders (Per kg.). But then and there itself I planned to wait and get the Biryani packed to take away. Upon reaching back home, when I opened the wrapping the first thought that popped up in my mind was that the Persian import has proved more futile than the foreign dynasties that brought the trend of marinated meat in layers of semi-boiled rice. The Biryani here is cooked in earthenware pots, the lids are sealed with dough and when the Biryani has finally opened it released the wonderful aroma that made the rats jump in the stomach out of hunger. 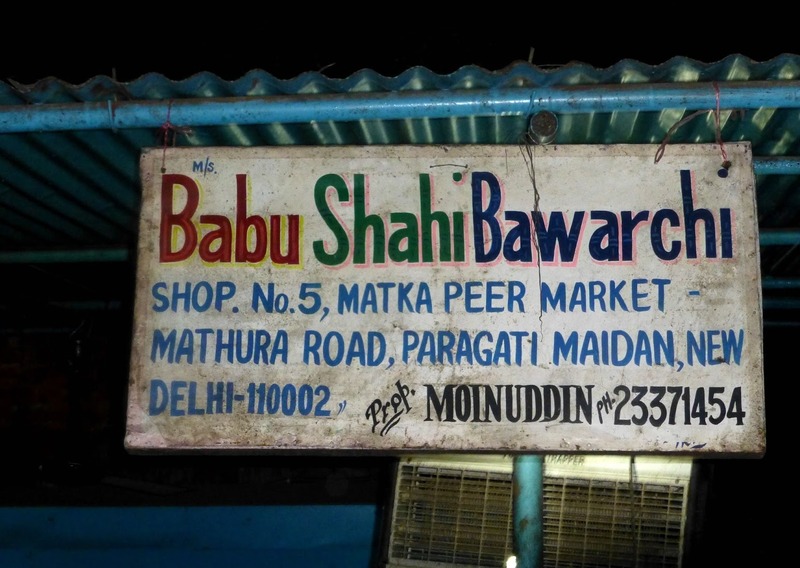 In the Sufi shrine of Matka Peer, located next to Pragati Maidan, the cook Babu Khan, supposed to be descended from Shahjahan’s bawarchis, is known for chicken and mutton biryanis that must be ordered a day in advance. In Delhi itself, I had been to many places from Anand Dhaba in Connaught Place which serves extremely hot and oily Biryani to the commercial chains such as Deez, from the five-star hotels like Maurya ITC which serves expensive and disappointing Biryani to Sufi shrines. However, no one could replace the taste of this best Biryani in Old Delhi. It is one of Delhi’s best-kept secrets which is still not known to many. They serve mouthwatering finger licking Biryanis wrapped in handis and the Biryani is prepared in the same manner as it was prepared during the Mughal days. Served piping hot, the place is more of a takeaway type but one can eat in by standing next to the shop. The people are required to place their order, at least, a day in advance to avoid disappointment. The Biryani is sold by weight (per Kg). They can sell it by per plate, but are popular for bulk orders so they sell out quite fast. Do not try to eat with hand especially when it is served as the heat could burn the fingers. Don’t behave like a treasure hunter who impatiently looks for the meat ‘piece’. 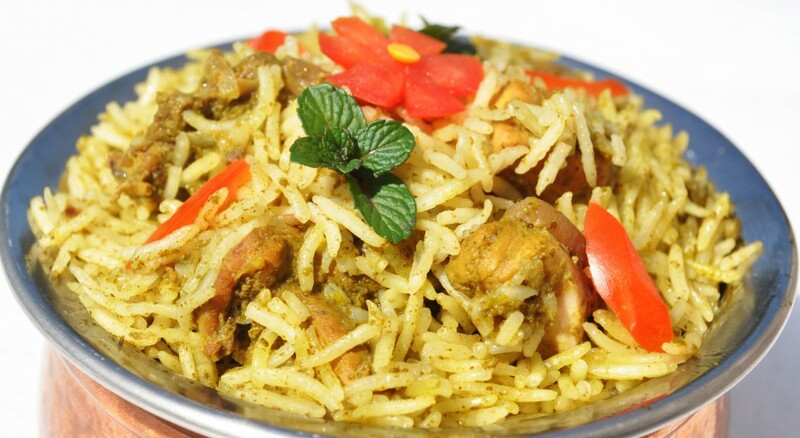 Treat your taste buds with intervening basmati which is as appetizing as an experience. For the next time, you are planning to have some flavoursome biryani or are looking for a ton of food for a get together with friends, bookmark Babu Shahi Bawarchi.